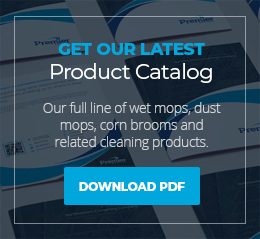 Premier offers many different options for the Wet Mops we manufacture. 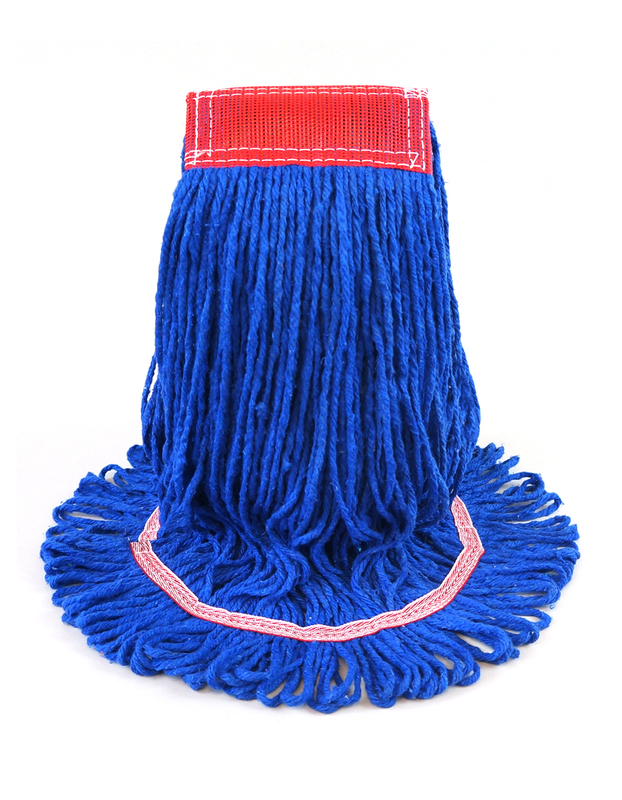 Listed below are the options available for our looped-end and cut-end wet mops. 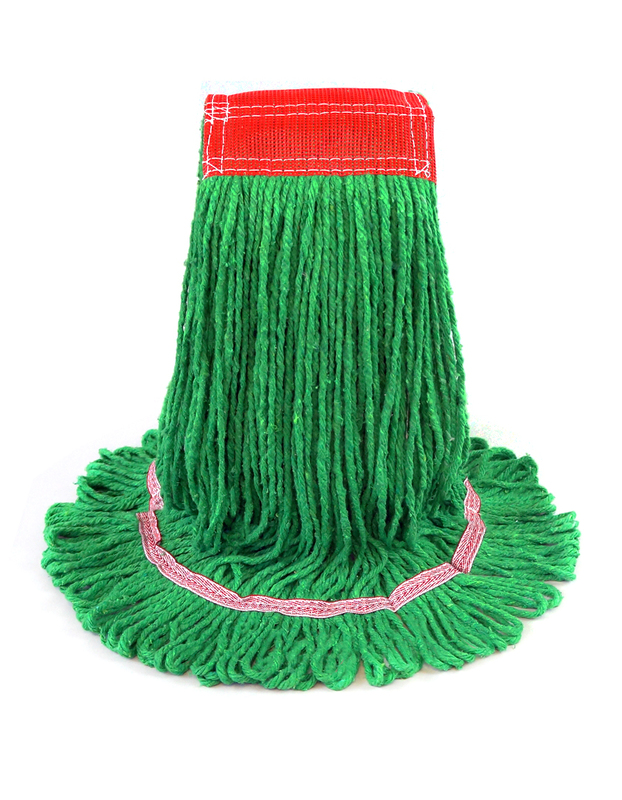 All cut-end wet mops come standard with a 1 1⁄4″ wooven polyester tape headband. 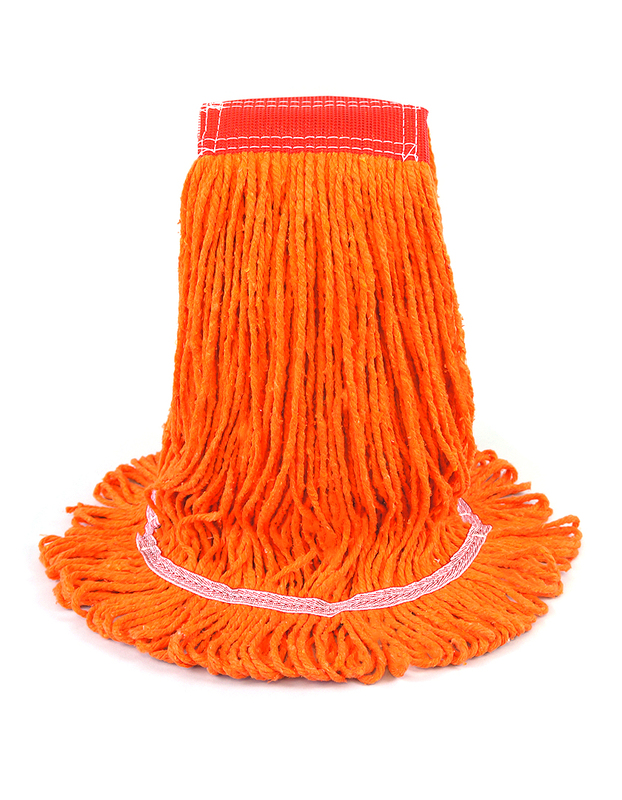 1 1⁄4″ vinyl coated nylon mesh headband are available on all looped-end wet mops. 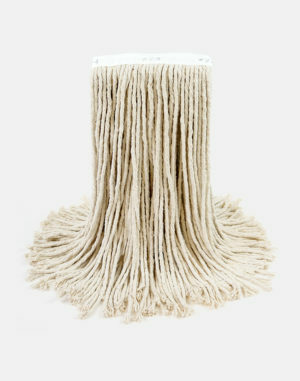 Available on cut-end wet mops. The plastic molded cap incorporates a metal threaded stud to accept Kwik Twist handles. 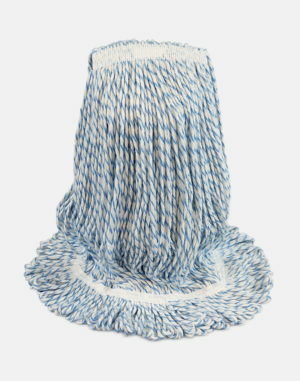 The sewn-in “tailbands” keep yarn spread in a fan shape, allowing maximum coverage. 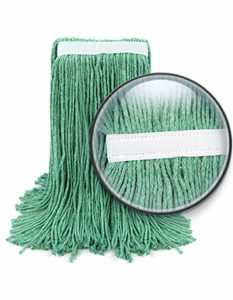 Tailbands help keep the mop intact, eliminating loose strands and excessive fraying. 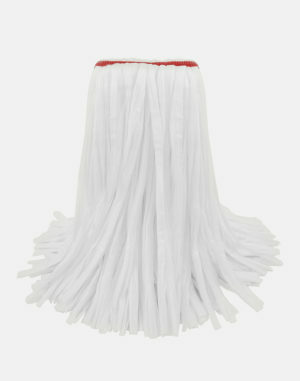 Available on all wet mops. 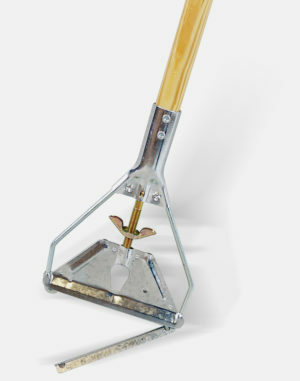 We use 6 x 4.5″ scrub pads for aggressive removal of marks and debris. 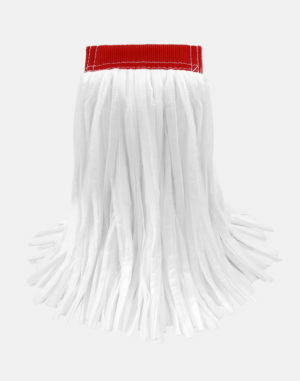 Available on all wet mops. 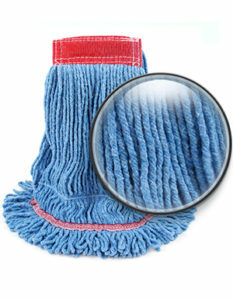 The plastic molded cap is threaded to accept any handle with standard acme threads. 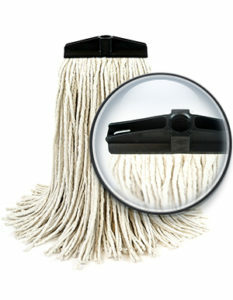 Available on all wet mops that do not come standard with this option. 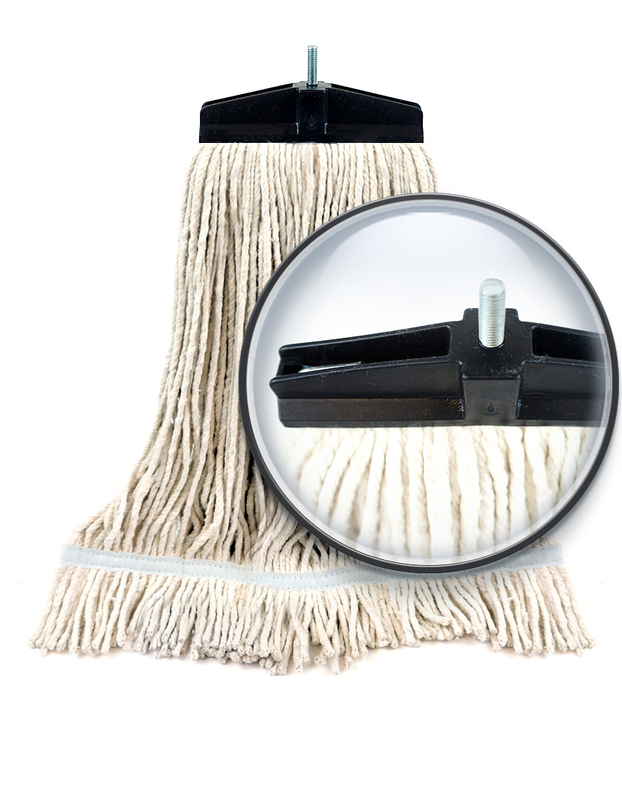 5″ vinyl coated nylon mesh is used on all wide band wet mops. 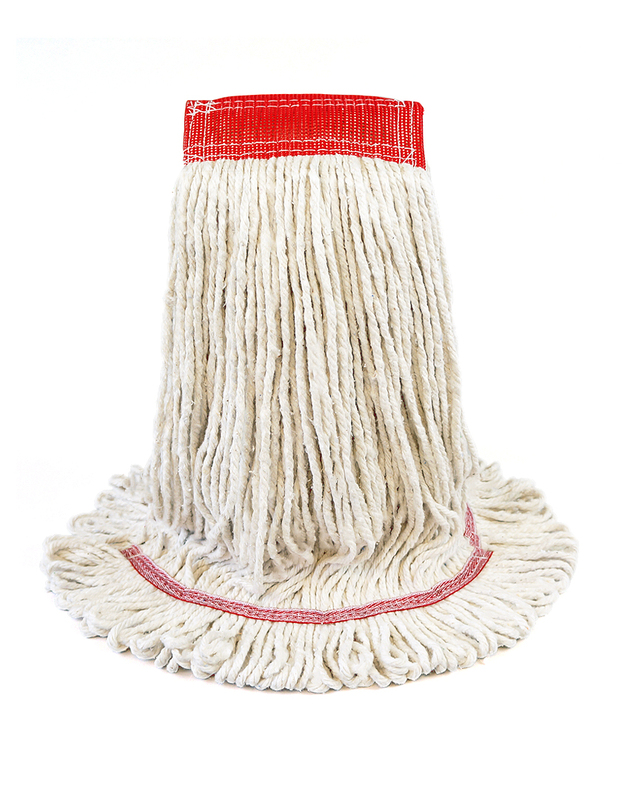 Available on all wet mops. Push button releases mop from handle. 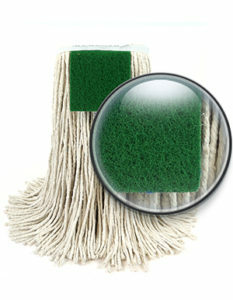 Available on all cut-end wet mops. 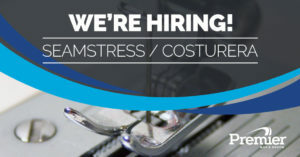 The sewn-in “tailbands” keep yarn spread in a fan shape, allowing maximum coverage. 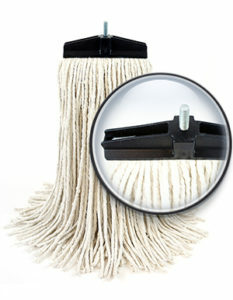 Tailbands help keep the mop intact, eliminating loose strands and excessive fraying. 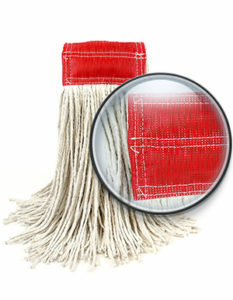 Specific looped-end wet mops undergo a shrinking process during manufacturing to limit further shrinkage while in use. 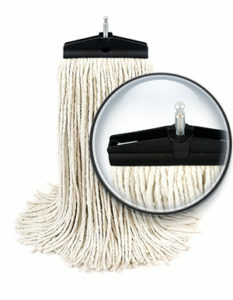 This option is only available on Super Loop Wet Mops as this is the standard feature on Supreme Loop Wet Mops. 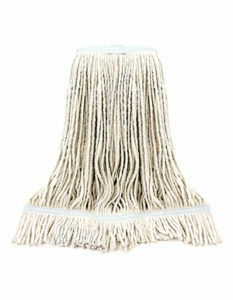 Available on all wet mops. The plastic molded cap incorporates a metal threaded stud to accept Kwik Twist handles.